Lake Placid, NY – After hosting the Putnam Investment Freestyle Cup last weekend, aerials action continued at the Olympic Jumping Complex in Lake Placid on Thursday with the aerials U.S. Freestyle Aerials National Championships. Kiley McKinnon and Mac Bohonnon, both of Madison, Conn., led the U.S. team, both winning the national titles. The U.S. team was joined by competitors from Russia, Canada, Great Britain, Kazakstan and Switzerland. Stanislav Nitkin and Liubov Nikitina, both from Russia, took the wins for the day. McKinnon and Bohonnon were the top U.S. finishers, each landing a second and third place, respectively. Bohonnon competed with a double full, full, full and finished with a score of 109.05. McKinnon competed with a full, double full and finished with a score of 81.42, earning her first national title. Coming off of a second place finish at the World Cup last weekend, Bohonnon was carrying momentum coming into nationals. Changing conditions made it difficult to get the speeds just right, but he was able to lay down yet another set of solid jumps. 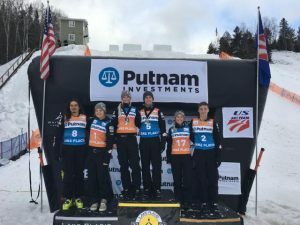 Ashley Caldwell of Ashburn, Va., the winner of last weekend’s World Cup on the women’s side, accomplished another impressive feat on the Lake Placid jump site. During the super final round, she became the first U.S. woman to complete a full, double full, full in competition. She is the second woman in the world to land the trick, and finished fifth overall. 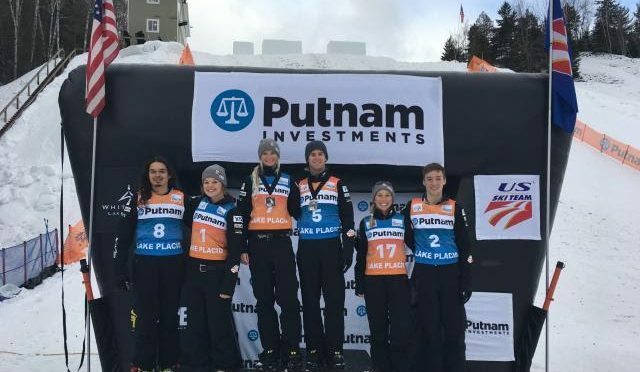 The U.S. aerials team will return home to Park City, Utah for training prior to the next World Cup, the Visa Freestyle International, at Deer Valley Resort in Park City Feb. 2-4.